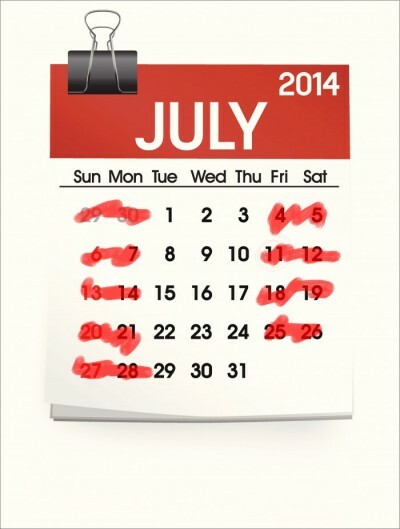 Would you rather have three-day workweeks or early retirement? Go figure: a Mexican billionaire is suggesting that we should all convert to a three-day workweek—11 hours a day—in exchange for a later retirement at 70 or 75 years old. Business magnate, investor, and philanthropist, Carlos Slim, one of the richest people in the world, has gone on record in saying that people would live much happier lives if they were given four days to recover and relax. I believe it! I know I would be much happier, spending four days lounging around not worrying about work, though granted I have never been employed in a nine-to-five kind of job. The hours add up, and working takes up a significant part of life. It would be a shame to waste it all, regardless of when your hours are and what your schedule is like. Overall, I totally agree with him. I know personally that I am more productive after a long weekend than I am when my schedule is fully loaded and I’m rushing from one responsibility and obligation to the next. I like the idea of having an 11-hour workday, because I have a the-sooner-I-get-it-done-the-sooner-I-can-rest attitude. I also rarely ever consider retirement: I like what I’m doing and I hope I progress and pursue my career for as long as possible. In North America, it’s not easy to get time off. We live in a work-first-rest-later society; a place where making money is the number one priority. Just look around and see how many people are sleep deprived. There is no doubt that a three-day workweek could change that workaholic mentality. I think we would all benefit from a little more time for socializing, a little more time for exercising, and a little more time for simple contemplation. A 2008 survey conducted by the Families and Work Institute showed that 46 per cent of those given an option to have a condensed workweek chose to use it at one point or another, and 59 per cent of those who weren’t given such options, wished they had it. The general public is split on that matter, because so many people are working for retirement. That is the ultimate goal in life, and I think that is the wrong mentality. Waiting for retirement to me is a scary gamble, because who knows if one will ever reach that finish line. Regardless of retirement, I think one needs to focus more on finding a work/life balance, regardless of the workweek. We live our first 25 years without the fear of labour—if we are lucky—as we have our parents taking care of us while we get an education. Then we live the next 40-45 years working. After that, if we are really lucky, we get to retire and live for maybe another 15 years. That is a common reality to many. Yes, I like Slim’s idea of a three-day workweek, but I prefer the Stefan Sagmeister’s way of thinking. Sagmeister, a graphic designer, spoke about taking five years out of those 15 retirement years and interspersing them in the 40 years or so of work life. He too believed that people needed breaks from working, but they shouldn’t be force to work well into their seniority either. Rather, people should be able to enjoy the world while they still have some semblance of youth. By having a yearlong sabbatical every seven years to relax, travel, pursue personal projects, rediscover career callings, and reassess life’s values, we can become healthier citizens and happier workers.